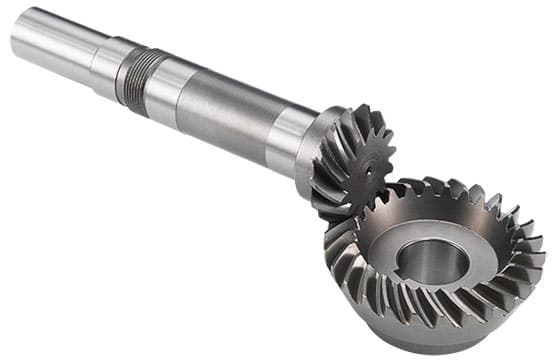 These spiral bevel gears are a single helical gear design. AmTech International manufactured this ring and pinion set for an OEM customer in the Industrial Motor field. This ring and pinion set is manufactured for the customer’s modular gear drive product line that features a helical-bevel-helical gear train.